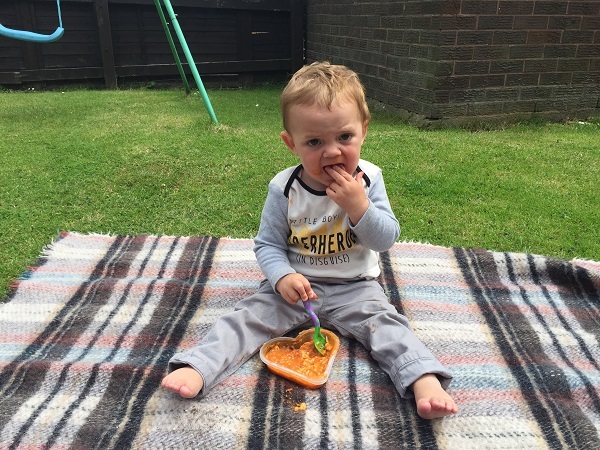 And HiPP are the only large, family-run company in baby food, passionate about natural and organic products to provide little ones with the best start in life. Family beliefs and values embody HiPP Organic, who are instinctively organic and have been for over 60 years. HiPP believe in organic for a better legacy, using farming techniques that leave the soil full of nutrients for the next generation. HiPP Organic understand the moments that matter to mums, that moment when you capture something new and so, this month has been all about garden adventures. 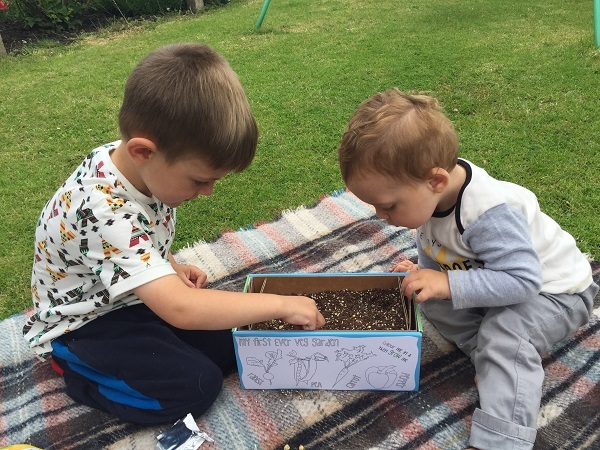 We waited for a lovely day and had our very own picnic in the garden whilst exploring the world of gardening and letting Joseph get his hands dirty. 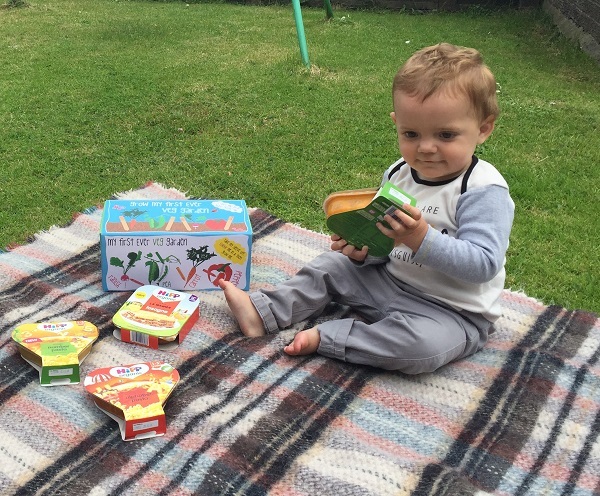 Being passionate about providing the best possible quality food for all babies & young children, HiPP Organic's product portfolio has more than 120 products, for every stage of weaning including pouches, jars, tray meals, cereals & fruit pots. 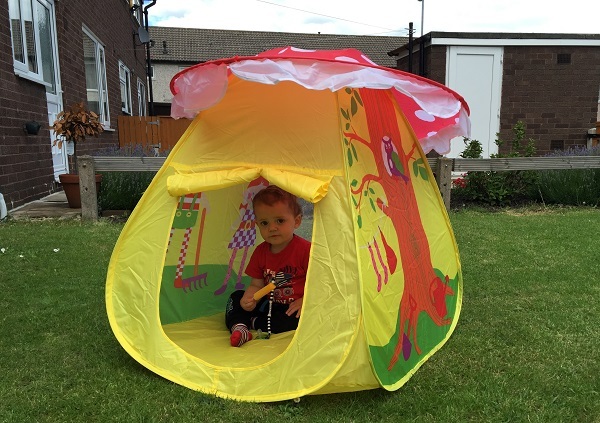 We were sent a lovely range of items for our woodland adventure and knew that we could make use of them in our garden, enjoying a picnic on the beautiful blanket, Joseph loved eating his HiPP Organic Flying Alphabet Pasta in a Bolognese Sauce meal outside in the sun, making quite a mess but that's what children are all about, having fun and making a mess! Packed for off veggie goodness and excellent produce, HiPP meals are the perfect size for a growing child and there are so many varieties to choose from. 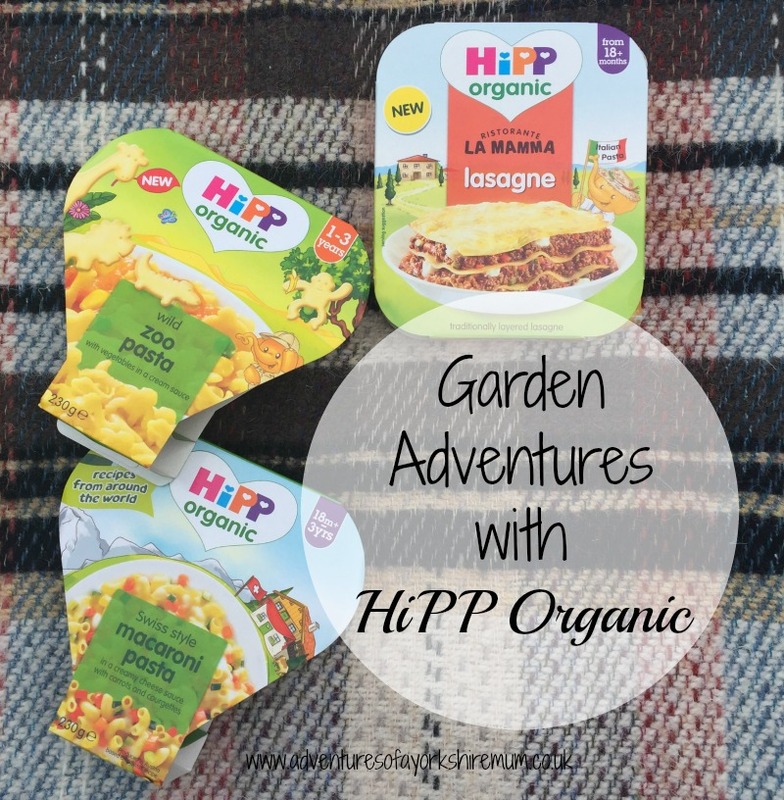 What's more, HiPP Organic are the only brand to offer pasta shapes (zoo animals, alphabet, numbers) and give that little bit of extra fun to meal times. After our lunch, we settled down for a little gardening. The kids love planting flowers and watching them grow. Plus, I think this is a great thing for children to learn about, how things grow. Popping seeds neatly in to compost, watering them every day. Getting excited when they see that first sprout of green, and then watching them bloom in to beautiful bright flowers in the garden. I do love the summer time as it means that we can get in the garden more and see all the creatures that crawl and fly around. Joseph loves butterflies although he hasn't managed to catch one yet, even though he tries whenever one flies over. We had an amazing day, playing, eating and planting flowers in the garden as part of our first HiPP Explorers mission and the kids had so much fun watching the world go by. Out of all the meals Joseph was sent, his favourite seemed to be the New! Ristorante La mamma Vegetable Cannelloni as I think he just found the pasta shape quite fun and loved trying to pick it up with his hands to eat with. 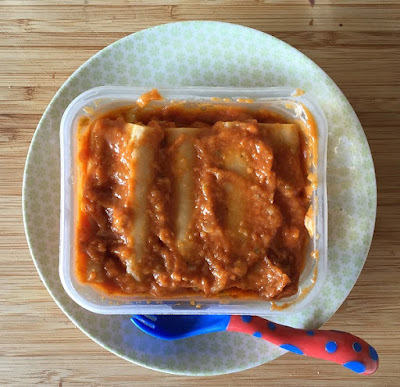 I think it's great that HiPP Organic offer such a variety of meals for little ones that are just packed full of nutrients and everything they will need to give them the energy to run around from the crack of dawn. Now we just need to anxiously wait for our little flowers to grow, making sure to water them every day to help them on their way! HiPP Organic is a brand we are yet to try I'm looking forward to see what blake thinks of the breakfast range.